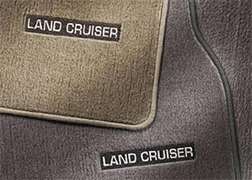 Genuine Toyota Oak color Carpeted Floor Mat set. Set of 3. Left & Right front along with center row seats.